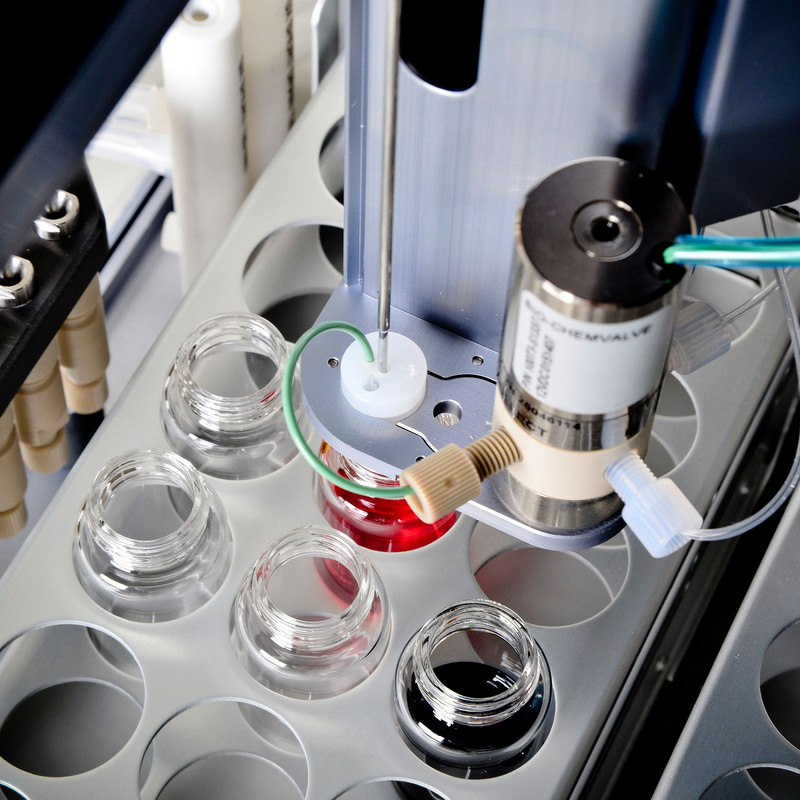 Explore the whole workspace of possible reaction parameters, including time, temperature, concentration and reagent proportions. 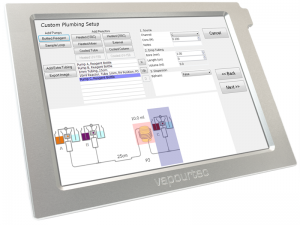 Because the Vapourtec system can automatically detect either a leak or a blockage, it is completely safe to leave the system running reactions unattended, even overnight. The user first describes the experimental setup (i.e. the reactor(s), UV Sensor, fraction collector and autosampler and how they are interconnected). A diagram is presented showing the overall setup. Then the user adds reactions, varying parameters between each successive reacton to cover the required optimisation workspace. Each reaction can be entered by copying a previous reaction then changing one or more parameters, making for very rapid programming of an optimisation sequence. 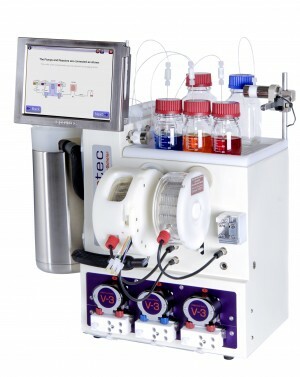 The system automatically includes a wash cycle between each reaction. 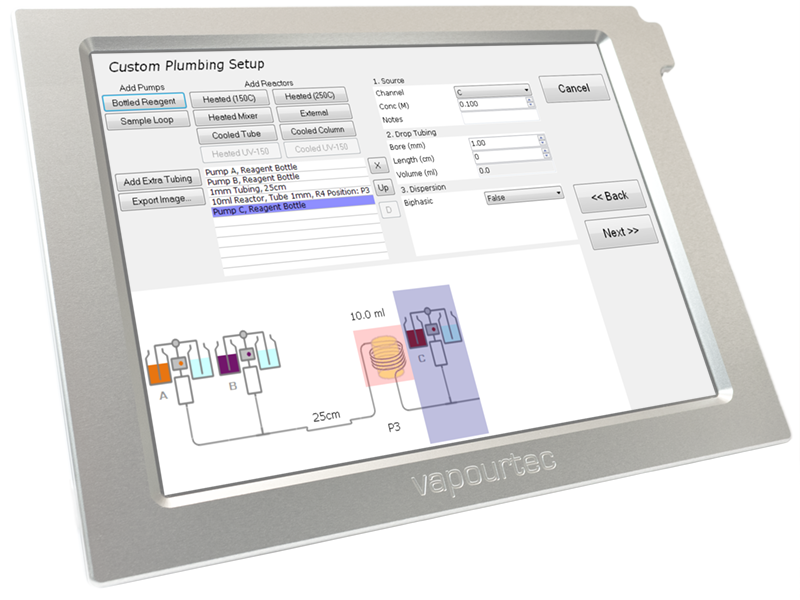 With Flow Commander™, the user can specify the quantities that matter (the independent variables). For example reactor residence time (not flow rate) and the total amount of good product to collect. 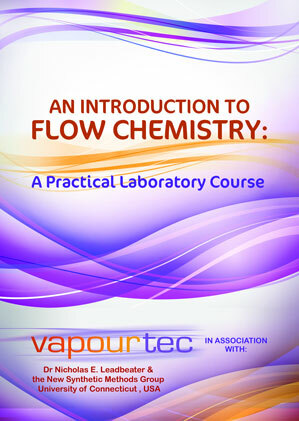 Other (dependent) variables such as flow rate are then automatically calculated. Should the same reaction be repeated later with a different size reactor, flow rates will be recalculated accordingly. 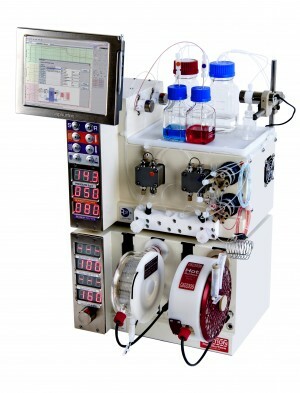 Once the user has specified a list of different reactions that are to be performed in sequence, the software computes the total amount of each reagent (and system solvent) that will be required. The user can then load up the required amounts in the feed bottles and start the experiments.